Enjoy these savory treats with a kick of heat! Bonus – they’re leaner with turkey. In a large bowl, mix together bread crumbs and spices. Add the milk and egg; let breadcrumbs absorb the mixture for 5 minutes or so. Add turkey and mix well. Scoop 1 1/2 tablespoon-sized meatballs in a cookie scoop. Place on a lined baking sheet. You should get about 26 meatballs. Bake for about 20 minutes, or until cooked through. Add 1/3 cup hot sauce to a medium bowl. Add hot meatballs and mix together. 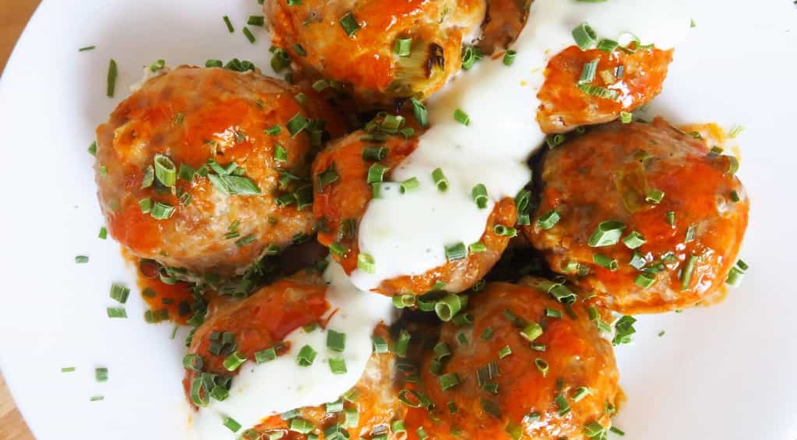 Serve immediately with a bit of parsley for garnish and a splash of light bleu cheese dressing if desired. 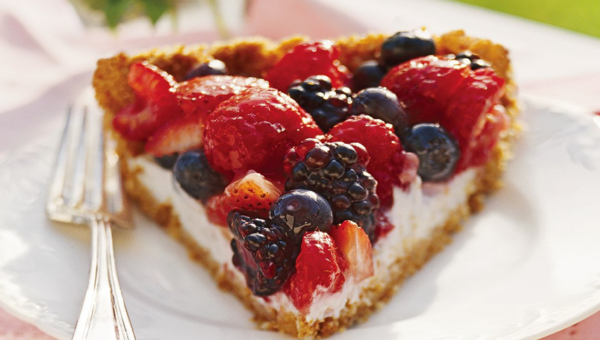 This healthy pie is made with fresh berries, a slimmed down zwieback crumb crust and a tangy low fat yogurt filling…yum! Add your email address to get our Channel J posts direct to your inbox.